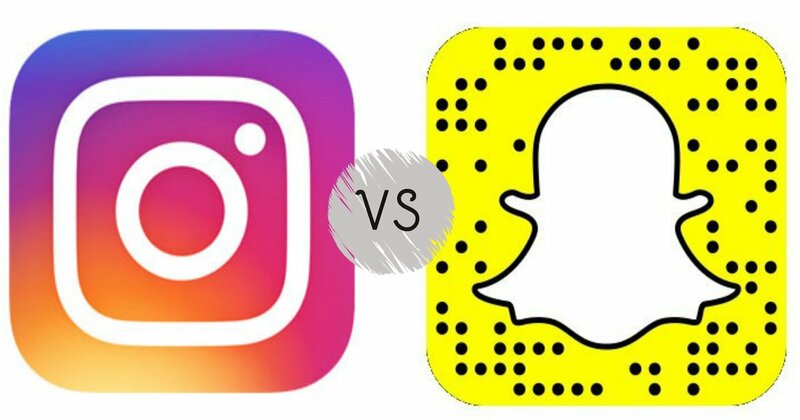 Instagram Stories vs Snapchat Stories - Which Is Better? Neither. Instagram Stories or Snapchat Stories? That is the question some are still facing. Ever since Instagram launched their Stories option on 2 August, many have debated which is the better app, and whether Instagram has cloned Snapchat’s idea. Kevin Systrom, CEO of Instagram says yes, and in an interview with TechCrunch, Systrom gave Snapchat full credit for the idea. So which app is better? From my own personal use with the two, I find that to say one is better than the other is subjective, and it’s more about who your audience is. In an interview with the Advertising Age, VaynerMedia‘s Dan Grossman, vice-president of platform partnerships explains why Instagram Stories would be more appealing to businesses and entrepreneurs. “Instagram is a follower platform where Snapchat is more of a best friend platform. Snapchat hasn’t encouraged brands to build up huge followings,” he said. Instagram firstly has a bigger reach with about 300 million users whereas Snapchat has 150 million users. With a big customer base already in their pockets, Instagram also caters to marketers who have built up followers over the years. The company has even taken pride in this, and has a page dedicated to success stories of businesses utilising this as a tool for marketing and promotional purposes. Adding in Stories just provides these marketers an opportunity to communicate with their followers both ways. Instagram Stories are more attractive for business as they can be fun and spontaneous in their Stories, and still post well-curated pictures to market their products on their usual feed. Snapchat, unlike Instagram, is more for close friends and families. It is playful and transient, so users can afford to go crazy and fool around as much as they want with it. Screenshots others take of their Snaps are made aware to the users, so blackmailing someone is definitely a less anonymous affair. Followers can only be found through their usernames or if you have them in your contacts list, unlike Instagram which occasionally lists you in recommended accounts for others to follow. When I tried using Instagram stories, I found there were more options with the pens on the thickness. The colour palate is also right at the bottom and easily accessible. Adding the stories to the timeline is also much efficient and smoother. Despite being easier to use, it only has the basic function, and that is the drawing option. I also found that I’d rather not all my followers see my Stories. Lets face it, we don’t really know half our Instagram followers so do we want them knowing what we’re doing? Of course, this can be changed by hiding users from Stories manually, but as the popular saying goes – “where got time?”. Snapchat however, has more options to play around with other than the drawing tool. It has the ever popular dog filter and many more. Filters are also changed daily, some in line with popular worldwide events, such as the recent Olympics specials. You can slow or speed up your video, add the new Bitmoji feature to your pictures and videos and stickers of course. If you’re wondering what Bitmoji is, its an app that is partnered with Snapchat that allows you to create personalised stickers of yourself. The Discover option also lets you discover Snapchat-centric content by popular content producers, and these videos and photos can easily be shared to your Snapchat contacts. 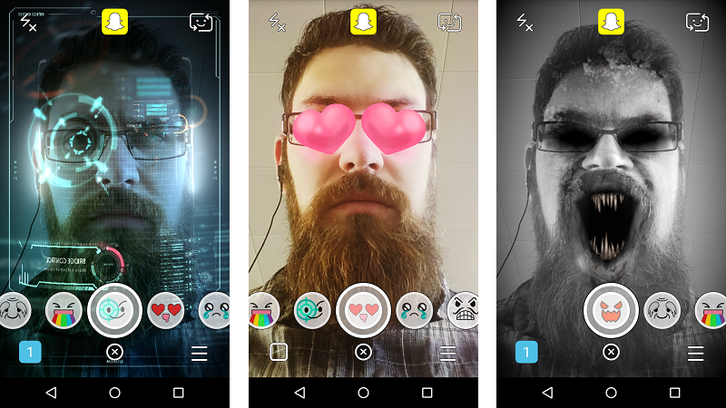 In my opinion, I would still stick to Snapchat – the filters are my kryptonite, without them it’s not just the same. The stickers and Bitmoji are an added bonuses that I may be starting to get obsessed with as well. I might still use Instagram’s Stories once in a while though, but maybe when I’ve become bored of the Snapchat filters? Hopefully in the long run, both apps can partner up and we can post our Snapchat stories directly to Instagram (and vice versa) as well.